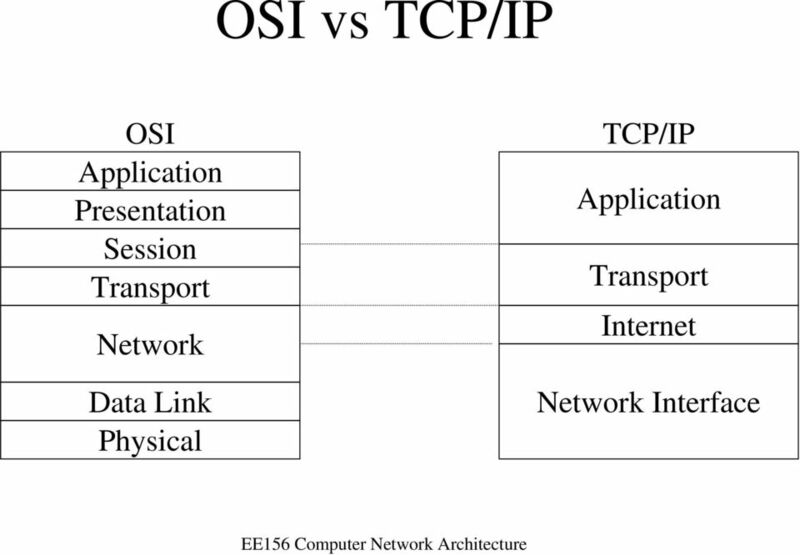 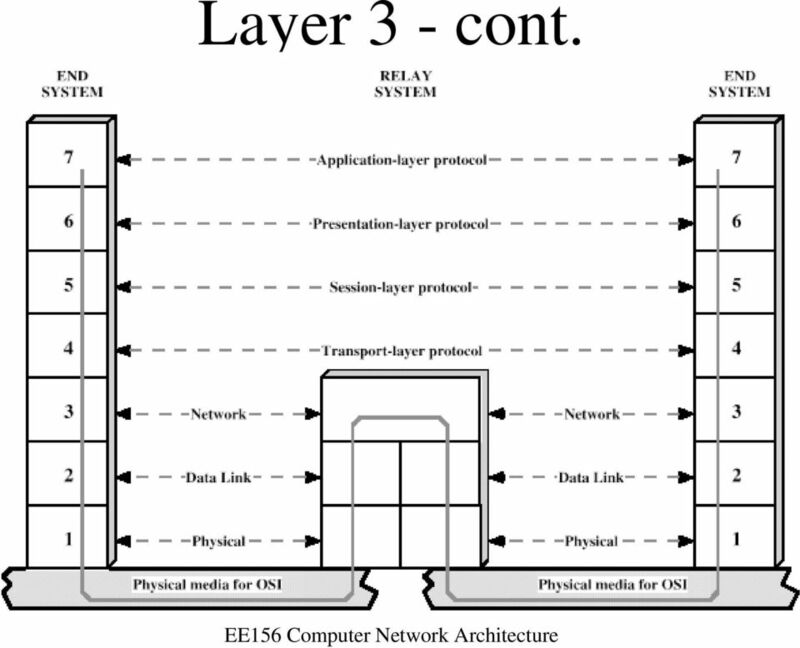 Download "OSI Model. 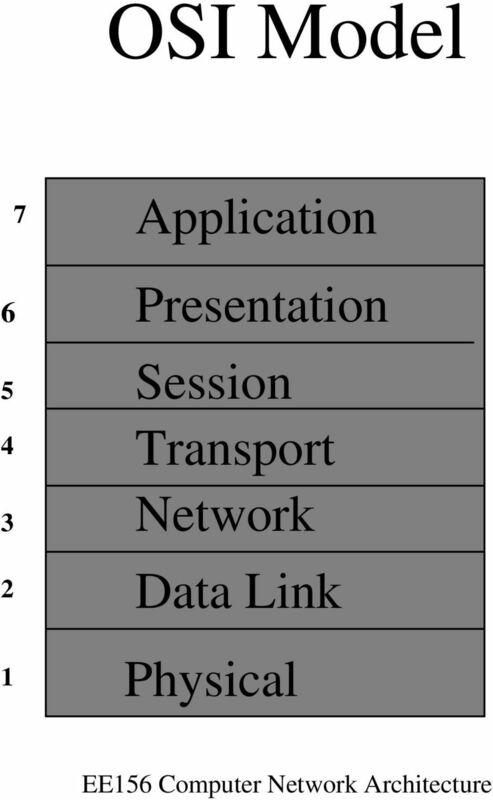 Application Presentation Session Transport Network Data Link Physical. 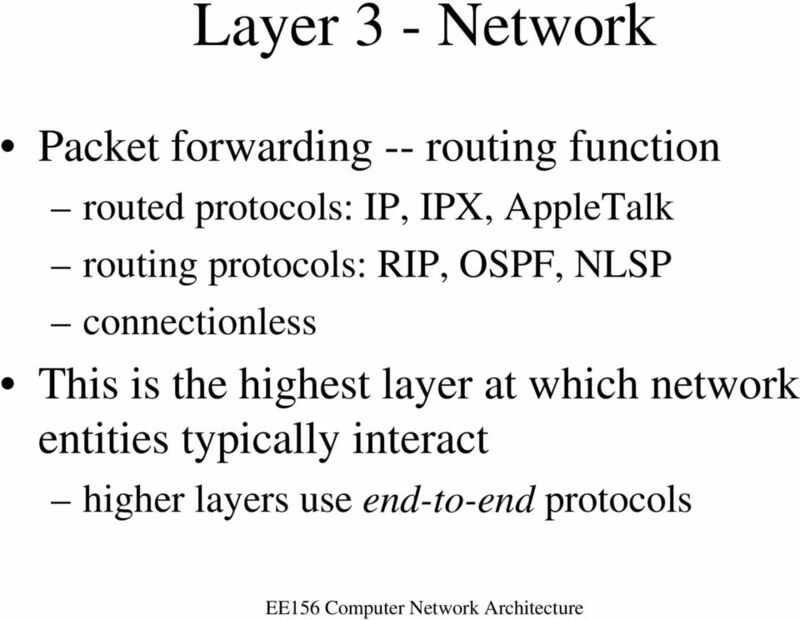 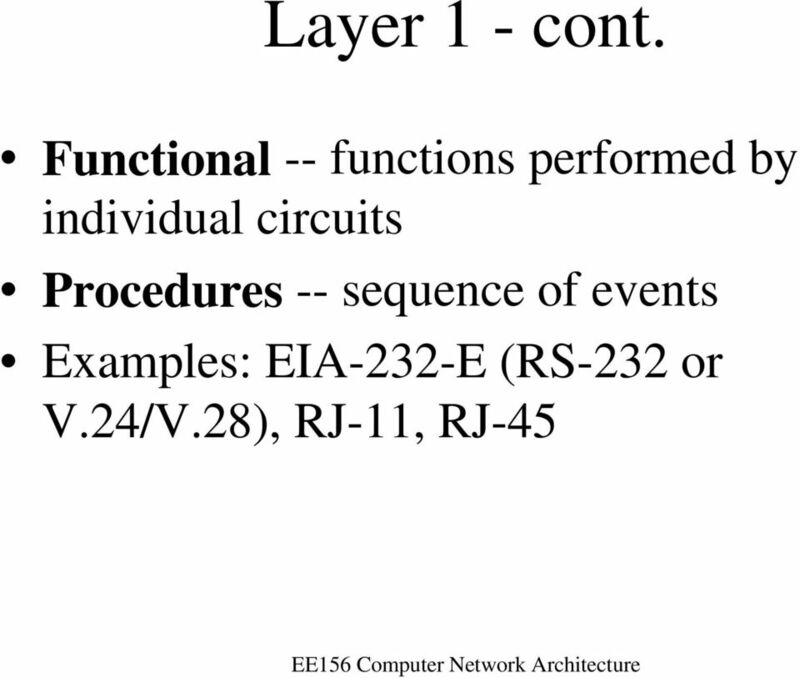 EE156 Computer Network Architecture"
5 Protocol Stacks - cont. 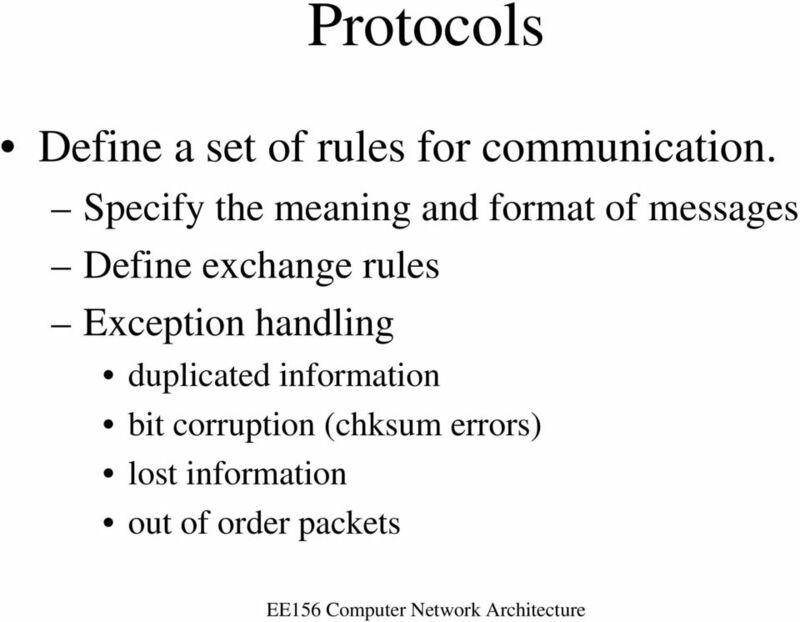 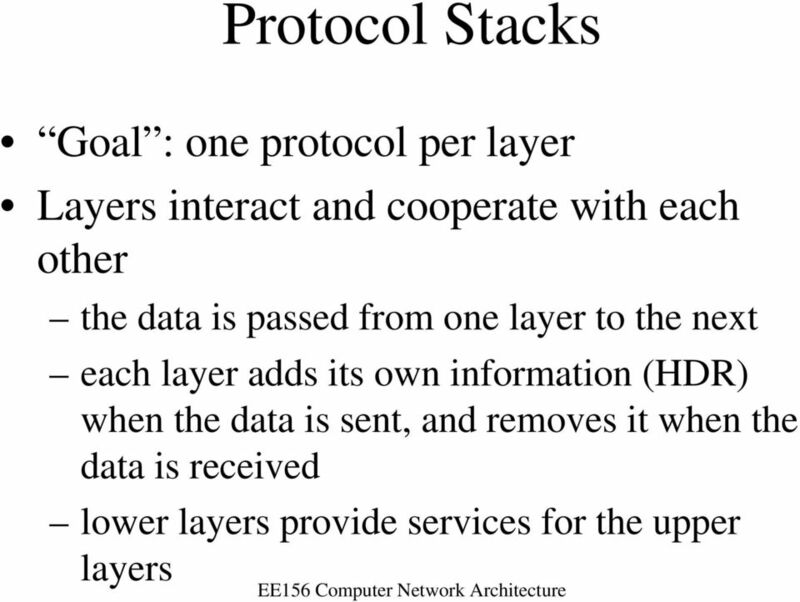 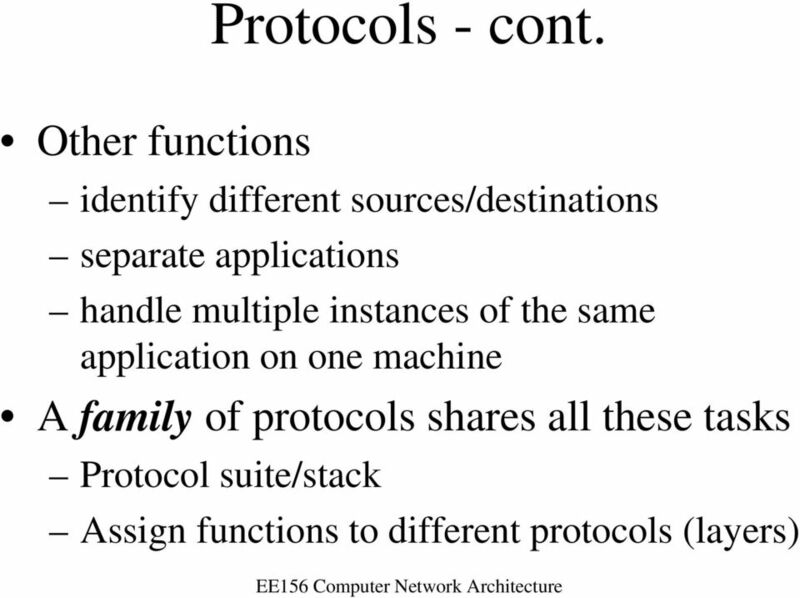 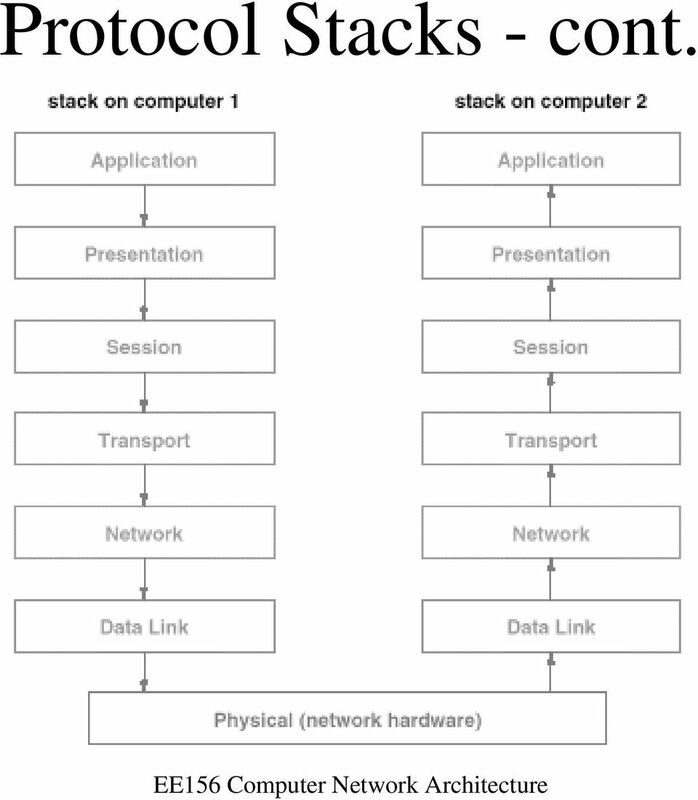 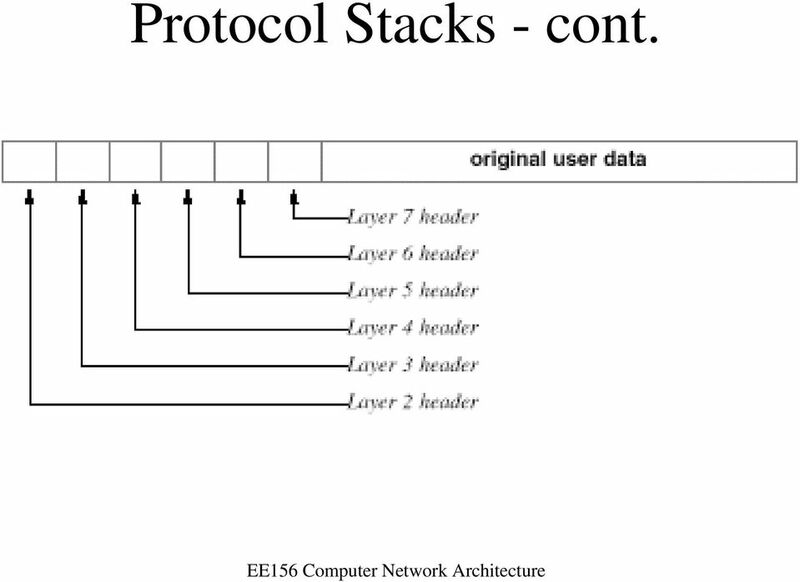 6 Protocol Stacks - cont. 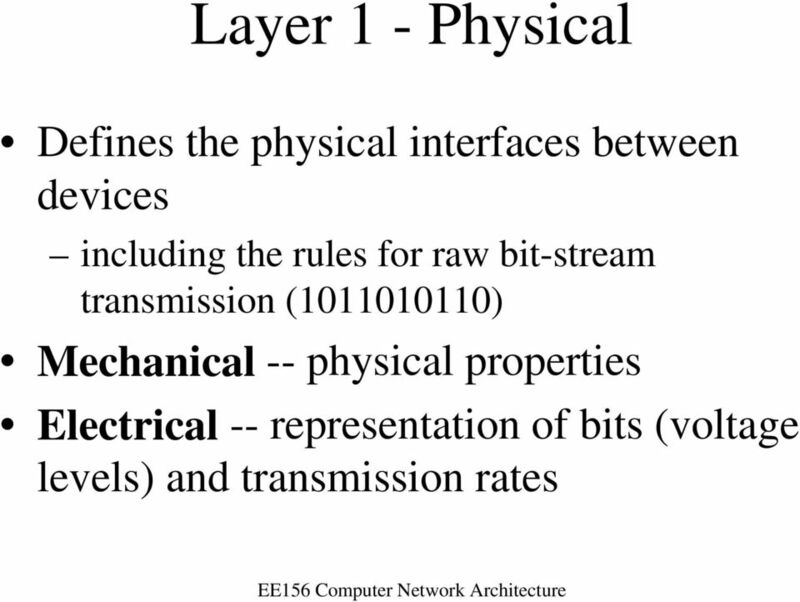 13 Layer 3 - cont. 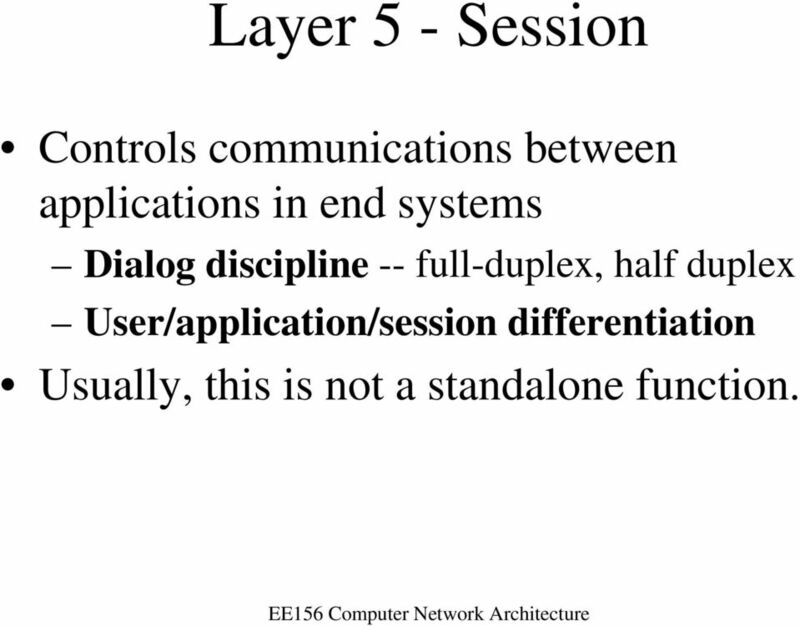 15 Layer 5 - Session Controls communications between applications in end systems Dialog discipline -- full-duplex, half duplex User/application/session differentiation Usually, this is not a standalone function. 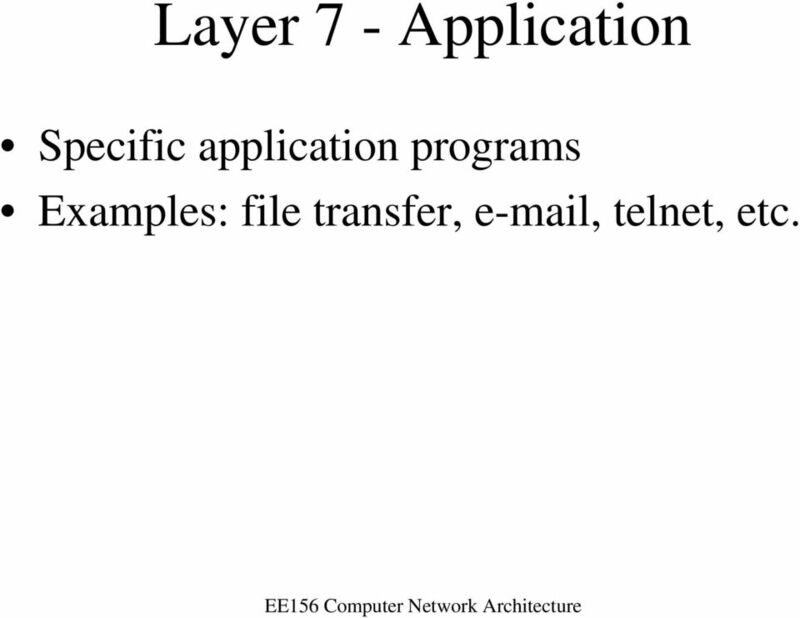 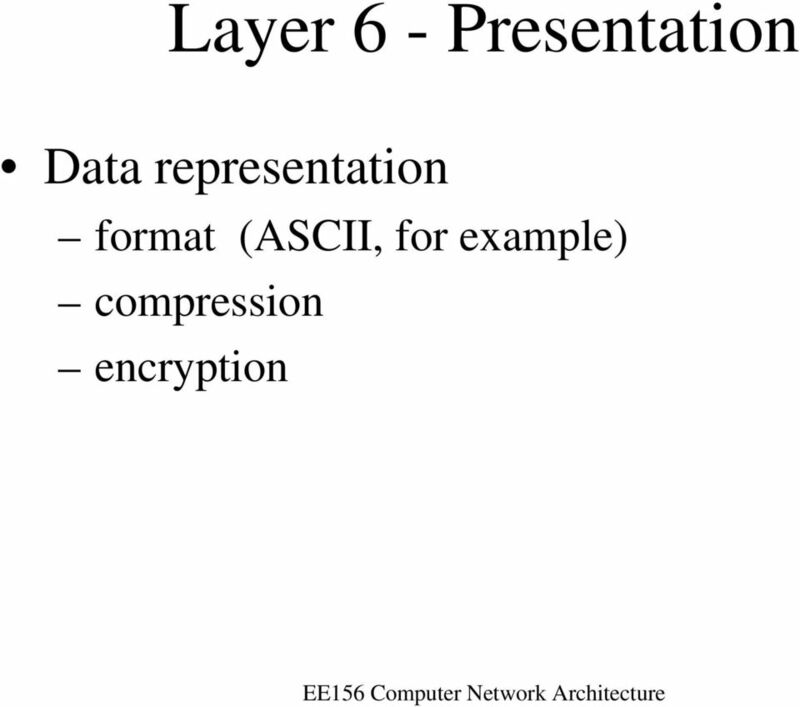 17 Layer 7 - Application Specific application programs Examples: file transfer, , telnet, etc.